← Mobilizing for equality- What Can You Do? Three seasoned professionals in the fixed income arena viz. 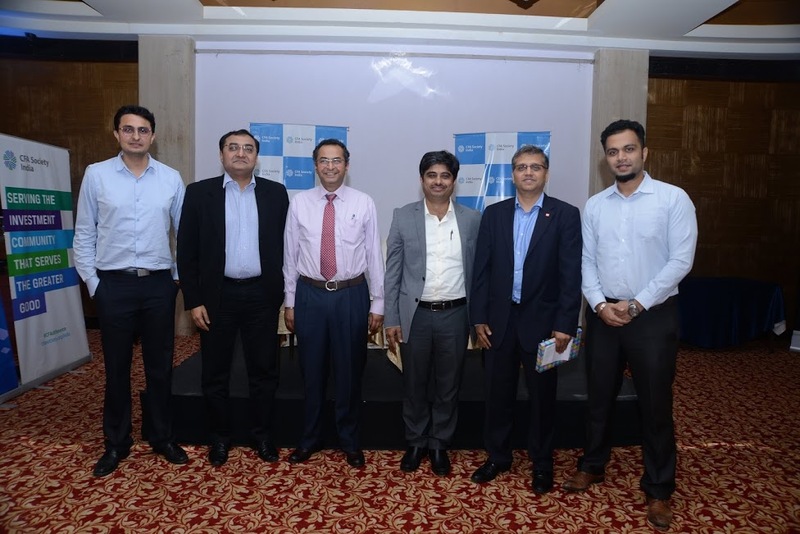 Rahul Goswami, Head, Fixed Income, ICICI Prudential AMC, Jayen Shah, Head, Debt Capital Markets, IDFC Bank, and Bhushan Kedar, Associate Director, CRISIL, got together to uniquely share their corporate bond market experiences with an inquisitive audience of CFA Charterholders in Mumbai. Wide ranging aspects of the Indian corporate bond markets were presented and discussed. These included evolution of bond market, statistics, recent trends, market ecosystem, role of key institutions, market infrastructure, pivotal role of credit rating agencies, various investor classes and their respective investment patterns, regulatory framework and the areas which need immediate attention, issuer needs & choices both onshore & offshore, innovative structures, deal or credit failures, valuation methodologies deployed by different investor groups and so on. The market was closely watching the the fate of the cases taken up under the insolvency and bankruptcy code. Successful resolution of cases will send out a positive signal to bond market participants that issues can be resolved if corporates don’t behave properly. The depth of the market will improve with further encouragement from regulators and stricter norms on bank lending to big corporates. Steps like limiting ISIN numbers issued to a company was also expected to improve liquidity. Around 90% of the corporate bonds bought by Mutual Funds or Financial Institutions were in the AA or AAA category indicating low depth of the market. Over time the panel also expected dedicated credit funds to set up shop in India which would further increase penetration in the bond market. This entry was posted in Events, Fixed Income, Mumbai and tagged @iaipcfa, Bhushan Kedar, CFA Institute, CFA Society India, CRISIL, Fixed Income, IAIP, ICICI Prudential AMC, IDFC Bank, Jayen Shah, Rahul Goswami. Bookmark the permalink.